Buy things for function rather than for status. Reject anything that will take control of you. Develop a regular habit of giving things away. Don't give in to the pressure to obtain the newest, the biggest, or the best. Enjoy things without having to own them. Get outside and enjoy nature as often as you can. Don't purchase things you can't pay cash for. Let your words be honest and plain-spoken. Don't participate in things that exploit others. Don't get distracted from the most important things in life. 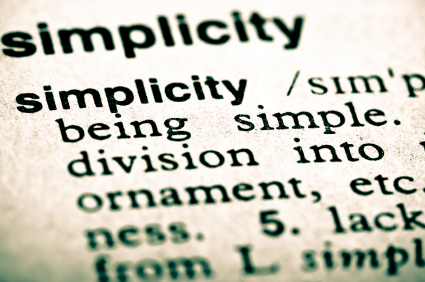 I think we could all use more simplicity in our lives. And yes, that is a deeply ironic statement.